Posted by admin on Jun 14th, 2018 and filed under Trumpetapodium. You can follow any responses to this entry through the RSS 2.0. Both comments and pings are currently closed. In this interview with Trumpeta Newspaper editor, Amaechi Kingsley, former commissioner of finance in Imo State, a rescue missionary and currently the member representing Okigwe South Federal Constituency, Deacon Chike Okafor at the green chambers elaborated on the misgivings by some of his party members, he doused the clamor from some quarters regarding his 2019 ambition, gave insights of the rescue mission achievements in the State since 2011 and proffer a way forward for APC ahead 2019 elections in the state. What is your reaction to the demand of some Rescue Missionaries to replace Uche Nwosu as Okorocha’s choice for the Governorship election in 2019. Am not aware of any clamor neither am I part of any clamor, the Rescue Mission family have made its choice for a successor to the office of the Governor come 2019, I am part of that decision, I am part of that choice and that choice is Ugwumba Uche Nwosu. If there is any group that would be asking to present theirs, it would be the coalition in the party let us know who their choice is, last time I checked they have about five governorship aspirants in their fold as the opposition APC. But for us as a political family under the guardian and leadership of Governor Owelle Anayo Rochas Okorocha, we have settled for who will fly the flag of our party come 2019 election, Ugwumba Uche Nwosu. So am not aware of any clamor, decisions or meetings to change that position. Imolite in general are insisting that Uche Nwosu will not succeed Governor Okorocha, his Father in-law, Reports have it that they would support Okorocha choice if he is outside his family, somebody like you? 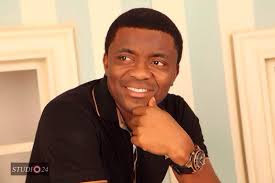 I don’t know about the clamor, am in Abuja, am glad you said Imolites, the last time I checked what I though Imolite were clamoring for when they were coming for endorsements was for Ugwumba Uche Nwosu and I think that informed Governor Okorocha position or decision to stand behind that choice. The Governor didn’t present Uche Nwosu to Ndi Imo in the first instance but rather, looking at the endorsements of over 23 LGAs prompt him to back Uche Nwosu. I want to correct the impressions that the Governor did not force his son in-law on Ndi-Imo, there was neither any inducement or force by Local Government Areas in Orlu, Owerri and Okigwe to endorse Uche Nwosu. I also organized a rally in my Federal Constituency where over 2000 people gathered and Uche Nwosu was also presented to Okigwe South for the choice successor come 2019. If there have been clamor here and there am just hearing it, that why when I saw what Trumpeta newspaper wrote I didn’t quite think it was proper without calling me. Do you have any intention to run for political position in 2019? Yes, and that intention has been made clear which is to go back to the house of Representatives, am working towards it, am the man to beat in Okigwe South Federal Constituency. Why is your name on the lips of both Rescue Mission aries and Imolites as replacement for Uche Nwosu? That’s spaces volume, haven been trained by the same man the Governor. Don’t you think your replacement may bring peace within the APC? You’re just telling me, I have been reading it on the papers. Why is it you every one is pointing at? Maybe we’ll go and ask them. The opinion poll and Reports stands in your favour why Sir? I feel flattered, I feel honored. If it eventually happens, the governor makes a U-turn to replace you for Uche Nwosu would you accept it? Am running for the Federal House of Reps and the Governor has also publicly supported my ambition, if the same Governor turns to say otherwise I will listen to him, I cannot say no. Is it proper to say APC is factionalized in Imo following your earlier statement? I’ll be shooting myself on the leg to say that there is no problem within the party, because the first step to solving a problem is identifying it. The APC scheduled Nationwide congress, but here in Imo the congresses didn’t hold, some people are insisting that it held, the next we heard was that product of that kangaroo congresses were inaugurated, where is Eke coming to preside, which APC, which state, As a matter of fact, there are subsisting court injunctions, restraining the party after the ward congresses because none was held in Imo, as an eye witness as a stakeholder and leader in the party, we all waited for the panel with sensitive materials, I was there in the police force headquarters where the two different group that came from Abuja were arguing among themselves who have the sensitive material, I was there right inside the CP’s office where Osita Izunaso denied having the materials, I rode from the police Headquarters to Osita Izunaso’s residence where the drama played out that there was no sensitive materials in his house and the man disappeared right there at Osita Izunaso’s house. TV Interview conducted on CP and Eke confirmed that material for the congress had not been received late in the evening, even the Organizing Secretary confirmed it. Only to hear couple of day later that results were out and some hoodlum apprehended in some hotel in Abuja, with the same materials missing in Imo. Some aggrieved members went to court and an Expiate injunction was granted by a Federal High Court restraining anybody from parading himself as product of the congresses. There are fact to state that congresses did not hold in Imo, the state working committee has suspended Hilary Eke and one or two of his accomplices as Chris Oguoma is the acting chairman of our party whereas the other group are parading Hilary Eke as chairman and he has not been seen anywhere except on TV making comments. The leadership of the party has sworn them in and Imo people are happy that this is happening? Those are the opposition people in Imo, because they know APC is the party to beat. The opposition people are happy but mark my word the crisis in the party will soon be resolved between now and National Congress Eke will not go and parade himself as the chairman at the convention. Another part of their happiness is that party structures have been taken away from the Gov. How can you take away a part structure from a governor who actually brought the party? The same people that provided themselves in the other group called coalition are the same people that called APC names. You can’t come into a Mans house and want to chase him away. The same party, APC, everyone know how Rochas Okorocha sweated to market it in the South- East, he was called names, I can mention so many in the coalition who didn’t believe in the party APC, even when he was building a chapel they said he was building Mosques, now the APC has become a beautiful bride because there is a national Government it has become a beautiful bride because Okorocha and the Rescue Mission has done well and now a party to beat on Imo. If the Government didn’t do well in the party within his 7 year would they have a credible party that they will be struggling for its soul? What do you make of Oyegun accretion that there is a united voice against the Government of Imo State? I didn’t read that Oyegun’s assertion, but don’t forget that Owelle Rochas Okorocha was the champion of null elongation for him, naturally he is not happy with Rochas Okorocha. By June 16th the tenure of Oyegun and his team will end, we don’t want to create a constitutional issue whereby, by the time we finish with primaries and our candidates will emerge, opposition party may go to court and do what happened in Anambra. Where candidates who emerged will be subjected to non-existing party executives whose tenure has ended so this are the argument, so for Oyegun’s remaining time in office, he will do whatever he can to take a pound of flesh on Okorocha to retaliate. Legal adviser of the party gave an advice on Imo an Abia and they defiled it because of the interest of Oyegum and the National Organizing see that is from Imo State. Are you banking on Oshomole reversing what has been done? Am not banking on Oshomole, am banking on subsisting valid Federal High Court groans already in place. Naturally the law will take its course. Following Trumpeta Newspapers report, did you have any altercation with party members in Abuja? No there was none, there was no fisticuffs. Rt. Hon Ozurigbo is a brother, a member of the rescue mission and an ardent follower of Owelle Rochas Anayo Okorocha just like me, he calls me senior and gives me maximum respect and has done so well for himself and his people, I don’t know where Trumpeta Newspapers got that information from, I and the Deputy Speaker IMHA had discussed about it, to us its laughable. As election approaches, what are your advices, because it seems Imo People has lost hope in this present Government? I don’t think so, I don’t think Imo People are in a hurry to let Okorocha go. Part of our programmes like the urban renewal program have hurt some few in the State, but the Owerri capital city I know before 2011 and now is unprecedented. I lived all my life in Owerri, the Owerri I lived in 1984 and the Owerri I live in now, the transformation that has taken place with the capital city of Owerri Orlu and Orkigwe between 2011 till now is unprecedented. I haven’t spent maximum 40days outside Owerri and I know the city I saw in 1984 till date. Now you can approach Owerri from different area of the State through the in-land roads build by Governor Rochas Okorocha. You cannot enjoy a meal of omelets without breaking some eggs, for us to have a beautiful city that we have today against what we have as Owerri, so many structures against the original master plan of Owerri will be removed, we will suffer for a while and enjoy the benefits forever. It is not possible for every Government policies to go down well with everyone. Looking into the future, we’ll all look back and say thank you Owelle Rochas Anayo Okorocha for your visionary leadership. It was the former governor that said, “Sacrifice a little and enjoy forever”, we are suffering now for a better tomorrow by the time all the roads are completed, traffic on Wethral road will disappear. It took a governor with a strong political will to take Ekeukwu market out of that place. Previous governments from the military era were bent on removing the market but only Owelle Rochas Anayo Okorocha summoned the political will to do the needful. I will tell you this for free, Ekeukwu would have been moved under the military rule, why the relief market constructed, relief market was constructed by one of the military Governors to relocate Ekeukwu, late Amadi Ukweche. That was the idea, he tried to move the market but traders refused. Until the market is moved, we will never have a capital city that we can call our own, that market breeds dirt’s, debris and touts, but today that market has closed effectively courtesy of one Governor with a strong vision. No Governor before or after him will have the kind of heart and love he has for good things. It is not possible to do all this without some people feeling hurt or lose their means of livelihood, but you do what you do, few will feel the pain but in the long run we’ll enjoy forever. After may 29th Imo people will look back and celebrate Governor Owelle Rochas Anayo Okorocha because the Governor that will take over from him and subsequent Governors after won’t have much to do in Imo except in cleaning roads because we have done all the roads, clean all the shanties, what new government will now do is to keep the city neat, because Owelle would have finished building all the roads. Even where you and I don’t know, Owelle makes roads where there is none. He doesn’t build one lane roads. Until recently I noticed there is a dual carriage road between Government College and prisons. I never knew that it’s possible to do a road from there. Another is the one on Orlu road to Onitsha road, it beats my imagination that a road would pass through there and so many other roads like that. Owerri Indigenes and residents may be complaining but those who understand development can testify what Governor Okorocha is doing and that is what you expect from a responsible and responsive Government. No State in the Federation of Nigeria has a Government that is as responsive and responsible as the Government of his Excellency Owelle Anayo Rochas Okorocha, you may have a contrary opinion or view but this is what I know. The Governor proposed LG election in the State, is it not rather too belated? It’s not because the Governor didn’t want to conduct the elections, but because there were litigations, matters were in court. Don’t forget when he came in 2011, he was advised rightly. The truth was there were subsisting court cases that makes it impossible for him to conduct LG elections, nobody is more democratic that Owelle. Okay fine! There were no LG elections but he went and put in a 3rd tier and 4th tier government (CGC) and he was funding them. Some of those matters have been dispensed with from the court, so that makes it easy and free for him to conduct election. This is not peculiar to Imo State, but I have told you why it happened. What is the way forward for APC come 2019? Let the coalition come and recognize the leader and founder of the party in Imo and the South-East, Owelle Anayo Rochas Okorocha, he led his faction of APGA to join my brothers in CPC and ANPP to form APC. He took pains to market the APC and brand to Imolites in particular and South-East in general. The same APC was rejected across the other States of the South East, but in Imo state, APC under the leadership of Okorocha produced 2 Federal House of Representatives in the first ballot against Federal intimidation and was able to give over 150,000 votes to President Mohammadu Buhari against over 400,000 votes that Jonathan got. Two weeks later he won in Imo and produced 23 house members in Imo, he did it without all these big people that converged into the party, he was the only voice shouting in the wilderness, APC is the way to go, join the moving train, join the National party. Ndi Igbo were laughing at him, they called APC “Boko Haram party, Okorohausa you want to Islamize us” and so on..
You see most of the people who rejected APC, who could not mention Buhari, when he called him Okechukwu Buhari Ka O Di Ndi Igbo Mma, people laughed, those same people who didn’t believe in Owelle Rochas Okorocha to market APC are now the once that want the spirit and soul of the party in Imo, it will not happen! The way forward, they should retrace their footsteps and come back to Owelle Rochas Okorocha and say sorry, our ambition , selfishness drove us out, now we have repented, let us come together, let’s work together, we know you did it in 2015, we’ll now work with you to do it in 2019. Imo still remains the only State APC can win in 2019 under the leadership of Governor Rochas Okorocha, the only gate way to the South-East. Stop encouraging brief case politicians in Abuja, let me shock you, if Owelle decides to leave this party for another he will deliver Imo State, he did it in 2011 in APGA against an incumbent. Now! The way forward for APC is that Owelle Rochas Okorocha remains the rallying point, the driver, the pilot of APC, if APC is going to make meaningful impact in Imo and the South-East come 2019, with Owelle Rochas Okorocha on the saddle, APC will win Imo State better than we did in 2015. Why is it difficult to organize the South-East APC, bringing them and other leaders to also work with him? Ndi Igbo are Republican in nature, in the sense that everybody is an Eze in his own domain/Kingdom. I will tell you this but don’t tell anybody! Do you know why they are fighting Owelle Rochas Okorocha, why they don’t want to come together? What will happen in 2023, power will come back to the South-East by God’s grace and it should naturally come to the South-East haven kept it in the South-West and South-South. Every Igbo leader is looking at 2023, mutual suspicion, “Owelle Rochas Anayo Okorocha is so popular he speaks Hausa, they love him in the North and West, if we accept him here in the East, he will be the only person that the North and West will look at, Why him”, that’s why you see some Orji Kalu, Ogbonnaya Onu raising their own group, that is just it. When Owelle Rochas Anayo Okorocha gets to Abuja, a Hausa man can naturally do PA for him, but an Igbo man will pull him down. Don’t forget that they said they are South-East leaders, they went to see Buhari to tell him that they the South- East leaders are in support of him, without Rochas Okorocha, the APC leader in the South-East. They know the only person with love, vision and National spread is Owelle Rochas Anayo Okorocha that’s why they want him diminished. Governor Okorocha came and told them, “let’s make the former Senate President, Ken Nnamani a Igbo leader to speak for us, others started kicking. So it is not true that Owelle Rochas Anayo Okorocha is monopolizing power because Owelle Rochas Anayo Okorocha himself told Ogbonnaya Onu “please don’t go for ministerial appointment, be our leader and stand like Bola Ahmed Tinubu in the West, but he quietly went to negotiate a ministerial appointment for himself. So it is not true to say Owelle Rochas Anayo Okorocha is monopolizing power or is power drunk or power hungry, it is all about 2023 they are fighting for nothing more.